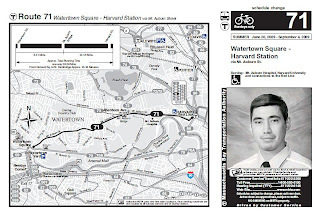 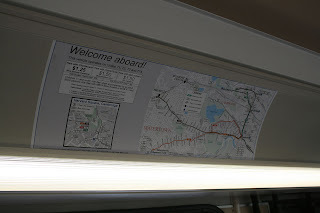 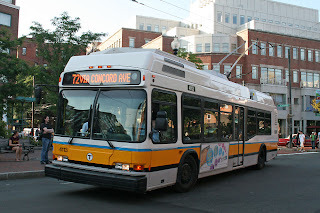 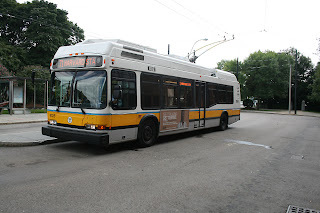 There are currently four trolleybus routes in the Boston, Massachusetts area, all run by the Massachusetts Bay Transportation Authority (MBTA) in the Harvard Square area, and all former streetcar lines (the last four not connected to the Tremont Street Subway to survive). 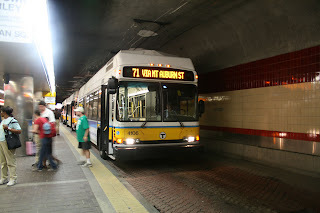 The MBTA and its predecessors once ran a large system of trackless trolleys, but most have been replaced by buses; the four survived, in part, because of the necessity for left-hand doors in the Harvard Bus Tunnel. 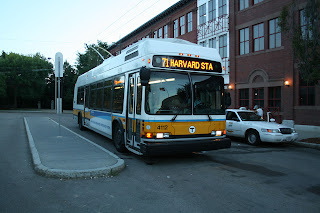 They are all stored overnight in the North Cambridge Carhouse, the northern terminus of the 77A. 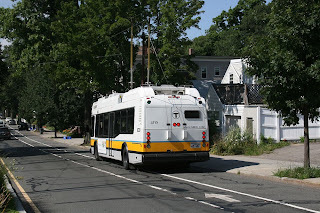 Trackless trolleys do not run on Saturday evenings and Sundays; instead conventional buses cover the routes. 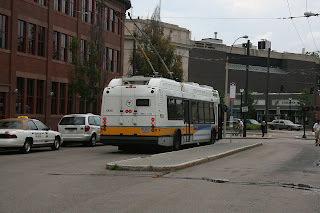 In 2004, the MBTA began receiving a fleet of new trackless trolleys from Neoplan, to replace older Flyer trolleybuses dating to the 1970s. 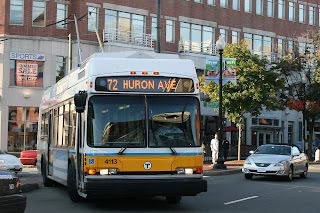 The newer vehicles meet Americans with Disabilities Act standards (see MBTA accessibility).